Melt pump sealing methods system has two sealing methods. They are melt pump extrusion dynamic sealing system and static sealing system. The melt pump sealing dynamic methods system employed, when the pressure on the suction side varies over a comparatively wide range. This is measure by a pressure sensor which regulates the control valve, at the output of the rotating mechanical seal, via the control electronics. 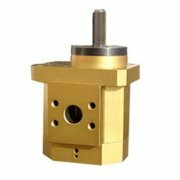 Depending upon the position of the control valve the gear pump pumps the medium against the more or less open control valve. A buffering pressure is built up, which is always above the suction pressure of the Polymer extrusion pump. This differential pressure is adjustable. With this system, the dynamic buffering pressure is generated by the gear pump. The pipelines under buffering pressure are marked with an “A”, whilst those under atmospheric pressure are marked with a “B”. The buffering medium tank is in this case not pressurised. The melt pump sealing static system is employed when the pressure on the suction side of the pump remains comparatively constant. In this case, the buffering medium tan is pressurized, via the connection, using nitrogen. The buffering pressure is generated by the nitrogen. 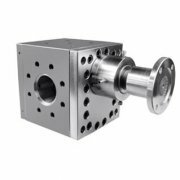 The gear pump has only to combat pipeline losses. In this case, the complete system, including the buffering medium tank is under buffering pressure from the nitrogen. The manual topping-up pump can be used to raise the level in the buffering medium tank against the buffering pressure, when the level switch indicates that the level is too low. Melt pump sealing methods system include magnetically coupled extrusion gear pump, which ensures forced circulation of the buffering medium operating temperature can be up to 350°C (662°F). Second, the sealing surface pressure difference. 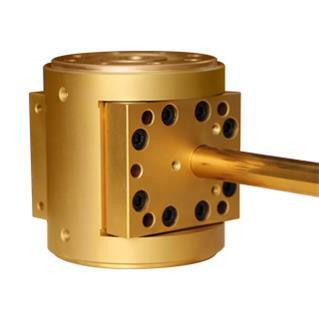 Since the gear pump design pressure and pressure is an objective reality can not be reduced. 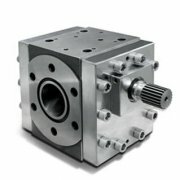 The solution of gear pump sealing is to eliminate or reduce the gap between the seal faces. This gap comprises a gap and the gap sealing device Bunsen internal sealing surfaces.